Jason C. Flynn Architect Inc. The primary goal for this project was to design a four-unit development without compromising the needs of the modern urban family. The project promotes safety, enhances the street, conceals the on-site parking, maximizes amenity space and reflects neighbourhood building patterns. 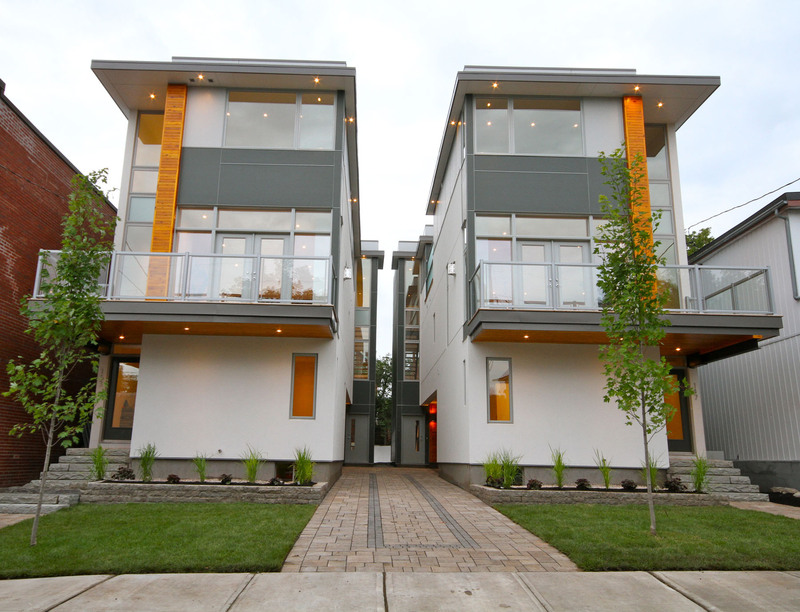 Using appropriate design strategies, infill development can be a powerful tool providing a chain reaction of possibilities for better living, strengthening our communities and energizing our cities. Although once forgotten, the lot on Elm Street now expresses a renewed vitality for community, provides central living for four urban families, and shows us the possibilities for the future of infill design.